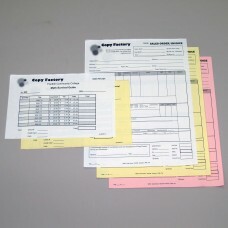 Numbers printed in red require additional turnaround time. Indicate starting number for sequentially number forms. You've come to the right place if you need short run NCR forms. We print everything in house on a digital press so it allows us to offer quick turnaround. 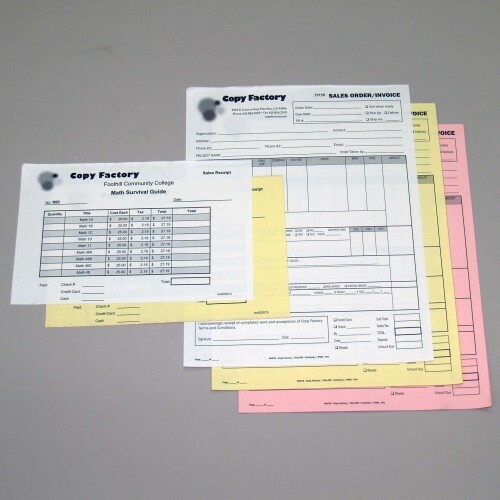 Print one-sided or two-sided, up to 4 parts, letter, half-letter and legal sizes available. Please contact us about other sizes. If you need to have your forms numbered, please indicate the starting number in the notes box on the shipping screen when you check out. Keep in mind that crash numbering in red requires additional production days. Please contact us for custom quotes on long run projects.